Brothers Mold Remediation NJ | Mold Testing NJ! For most people, their home is their largest investment and a safe haven, or sometimes a backdrop in family memories. Brothers mold remediation services feels the same way about our homes. And because we do, your home will be treated like we treat our own. For more than 10 years, Brothers has been offering mold remediation, testing and abatement in New Jersey. Our mission and main goal in life is to protect NJ residents from the harmful effects of mold. We are a local, family owned mold remediation company well renowned for our quality craftsmanship. Our attention to details and fair prices supersede the bounds of normal expectations. When you choose Brothers, you choose real people ready to deliver real results! If you’re looking for mold remediation, mold testing or mold removal in NJ, it is important that you choose an experienced company. Brothers mold remediation is IAQ certified, BBB accredited, Licensed & Insured. 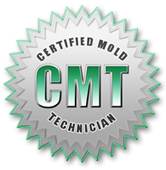 Our mold inspectors undergo regular training in order to better serve our customers and provide an exceptional experience. Before starting any mold remediation or mold testing, we must assess the condition of your home. There are various factors that can be used to assess whether an increased health risk may be present. Once we evaluate these factors, we can proceed with a visual mold inspection, mold testing and mold remediation. The inspection will be carried out by a qualified environmental consultant trained by our team. Mold inspections always look for excess moisture as water is a key ingredient in mold growth. It is also a well know fact that more moisture means more aggressive mold, and mold that is more likely to produce harmful mycotoxins.